Mayor Faulconer, Rep. Davis Quiet on Don Trump Jr.
On a day celebrating freedom of expression, San Diego’s Republican mayor and Democratic congresswoman stayed in the closet on a prime issue of public interest: collusion. 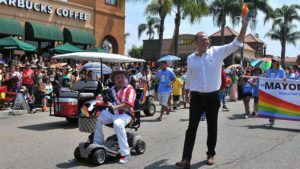 Mayor Kevin Faulconer and Rep. Susan Davis — her district includes the route of the 3 1/2-hour San Diego Pride Parade — were asked if Donald Trump Jr.’s email chain provided evidence of intent to help Russia influence the 2016 presidential election. Davis, a nine-term congresswoman, also avoided using the C-word. “There were certainly a lot of discussions going on. We know that,” she said. “They certainly were looking forward to the engagement” with the Kremlin-connected Russian lawyer in June 2016. Attorney General Jeff Sessions met recently with an anti-LGBT group, and Faulconer was asked whether that might affect San Diego at its U.S. attorney level. Faulconer has dismayed some California Republican leaders for not being the party’s high-profile candidate for governor in 2018. 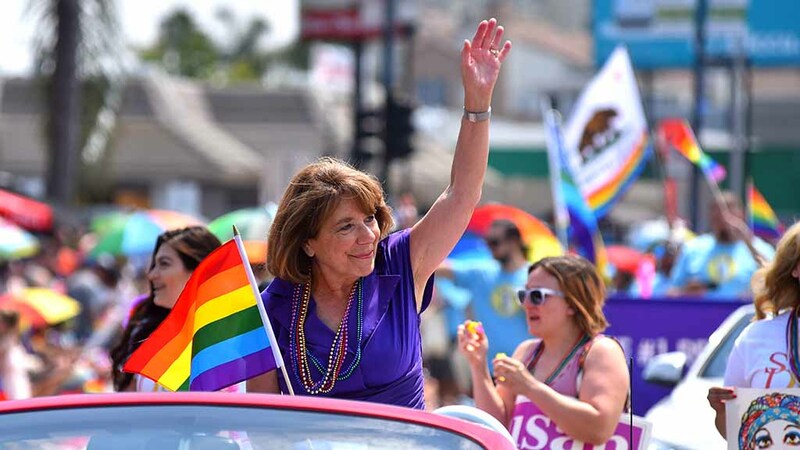 But the mayor rejected that critique in a brief chat with Times of San Diego. “I think every race across the state is going to be won or lost on its own merits,” he said while recalling his May 2016 campaign promise to serve out his four-year term if he won re-election in November.